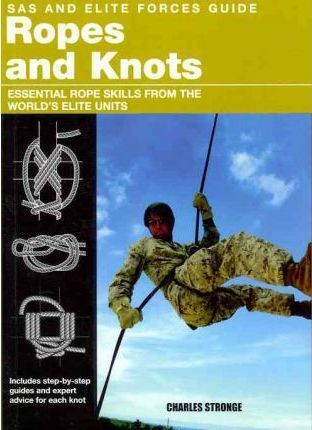 SAS & Elite Forces Guide to Using Ropes and Knots draws on the skills of the world'sbest soldiers to teach you how to use these essential tools in the wilderness. Tried andtested techniques used by the world's special forces give you field-tested advice onissues such as: how to take care of ropes, the most useful knots to use in a survivalsituation, how to make your own ropes out of animal tendons or plants, how to useyour rope effectively when climbing, how to lash together a log raft. A simple rope can be a lifesaver in a survival situation. Knowing how to use a ropeand make effective knots will help you in an amazing variety of ways - fromconstructing shelters and creating weapons, to fishing and hunting. Most important,ropes and knots act as literal lifelines in dangerous environments, such as whencrossing a fast-flowing river or scaling a mountainside. Alexander Stilwell has written and edited numerous books on sports and outdoor pursuits. He previously spent five years in the English Army, where he gained invaluable training in survival skills, first-aid procedures, and escape and evasion techniques. In his spare time, he enjoys cross-country and marathon running.